An overdose means having more of a drug (or combination of drugs) than your body can cope with. There are a number of signs and symptoms that show someone has overdosed, and these differ with the type of drug used. All drugs can cause an overdose, including prescription medication prescribed by a doctor. It is important to know the right amount and the right time to take your medication. It is also vital to know what drugs should not be mixed, and to seek help if you feel you are not in control of your drug use. A depressant is a drug that slows the vital activities of the body including breathing and the heart rate. Depressants may also be known as sedatives. Opioids (such as heroin and pharmaceutical opioids like Endone), benzodiazepines (such as Xanax or Valium), barbiturates and alcohol all slow the central nervous system to produce a calming effect. These substances are prescribed to relieve pain, help you sleep, or in the case of alcohol, used recreationally. However, when taken in excessive amounts or in combination, they can depress normal functions such as breathing and heart rate until breathing and the heart eventually stop, resulting in death. Download the Opioids Fact Sheet for more information. Download the Depressants Fact Sheet for more information. Generally people do not automatically think of alcohol when they think of overdose, but alcohol is a depressant and it is possible to overdose on it. Acute alcohol poisoning, which is usually a result of binge drinking, is an example. If you drink a large amount of alcohol quickly the level of alcohol in your bloodstream (blood alcohol concentration, or BAC) can become dangerously high. This can stop your body from working properly. In extreme cases, alcohol poisoning could stop you breathing, stop your heart or cause you to choke on your own vomit. Download the Alcohol Fact Sheet for more information. Download the Stimulants Fact Sheet for more information. All drug misuse can lead to brain injury. Hypoxic brain injury, which is caused by a lack of oxygen to the brain, is an under-reported consequence of overdose. This can lead to coma, seizures and death. The long-term consequences of hypoxia depend on how long the brain is without an adequate supply of oxygen. The longer a person is not breathing, the more damage is being done to their brain. Senses such as hearing or vision. In severe cases, brain injuries from overdoses can leave people in a vegetative state. If someone uses a drug regularly they develop a tolerance to it. This means they need to use more of the drug to get the same effect. Just as a person can develop tolerance, they may also lose it if they haven’t used a drug for a while. When people take their usual amount of drugs after a break from using, it could be too much for their body to cope with and this may lead to an overdose. This is why periods of abstinence from drug use, such as after release from prison and after a period of detoxification and/or rehabilitation, are risk-factors for overdose. “Half-life” refers to the time it takes for a drug to drop to half the strength of its original dose. Some drugs, such as some benzodiazepines, have a long half-life. 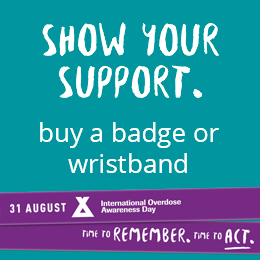 A person who has taken drugs may still have enough in their system the next day to overdose if they use more. The half-life of Diazepam (Valium) is about 24 hours, so if you took 20 milligrams yesterday you would still have approximately 10 milligrams of Diazepam in your system today. If you were then to use an opioid like morphine or heroin, you would have an increased risk of overdose as you would be using the opioid in addition to 10 milligrams of Diazepam. A range of signs and symptoms can occur when a person overdoses, and everyone responds differently. Signs and symptoms depend on a variety of factors including which drug is taken, the amount taken and the person’s state of health at the time. If you can’t get a response from someone, do not assume they are asleep. Sometimes it can take hours for someone who has overdosed to die. An overdose is a medical emergency that requires immediate medical attention. Always call an ambulance if you suspect someone has overdosed. People are often reluctant to call an ambulance for fear of police involvement or concern about the cost of a call-out. However, you should always call an ambulance if you suspect someone is at risk of overdose. In many places, the police will only attend if there is a fatality or other circumstances warranting police attendance, such as, a threat to the ambulance crew. Extremely paranoid, agitated and/or confused. It is not necessary for someone to have all of these signs or symptoms for them to be overdosing. Exhibiting one or two could still mean they are in trouble and need emergency help. Don’t ignore snoring and gurgling. Snoring and gurgling can indicate that a person is having trouble breathing. With substance use, especially substances that slow down the systems of the body (eg: benzodiazepines, opioids, GHB), snoring may indicate a serious and potentially life-threatening obstruction of the airway. In the context of substance use, snoring is not something that should be seen as “normal”. Don’t let someone “sleep it off” if they are snoring; this may be a sign of significant and life-threatening emergency. You should attempt to wake them immediately. If they do wake up, then the snoring (airway obstruction) will resolve. If they do not wake up, call emergency services and ask for an ambulance. Follow the instructions from the operator (you will probably be asked to roll the snoring person onto their side and open their mouth to maximise air flow). Naloxone (also known as Narcan®) is the drug used by paramedics to revive people who have had an opioid overdose. Naloxone can cause withdrawal symptoms and a powerful urge to take more of the drug that led to the overdose. Anyone who has been revived using naloxone should understand the risks involved in taking more drugs afterwards. Taking more drugs after being administered naloxone can result in a second overdose. This is because the half-life of naloxone (60-90 minutes) is considerably less than heroin and morphine. Drugs like methadone and sustained-release opioids such as oxycodone (brand name OxyContin) release doses of the drug slowly over 12 hours or more. So, the effect of naloxone will wear off long before those drugs have left a person’s system.